Joeschmo's Gears and Grounds: Omake Gif Anime - Koyomimonogatari - Episode 6 - Karen Yay! 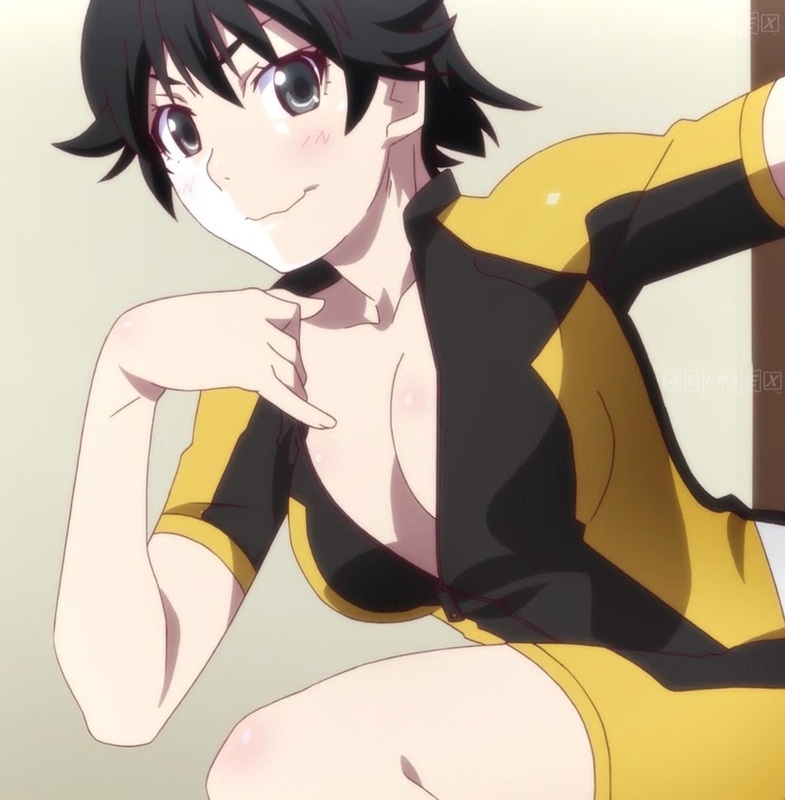 Omake Gif Anime - Koyomimonogatari - Episode 6 - Karen Yay! Karen was so happy her big brother finally relented to help her after bothering him so much. 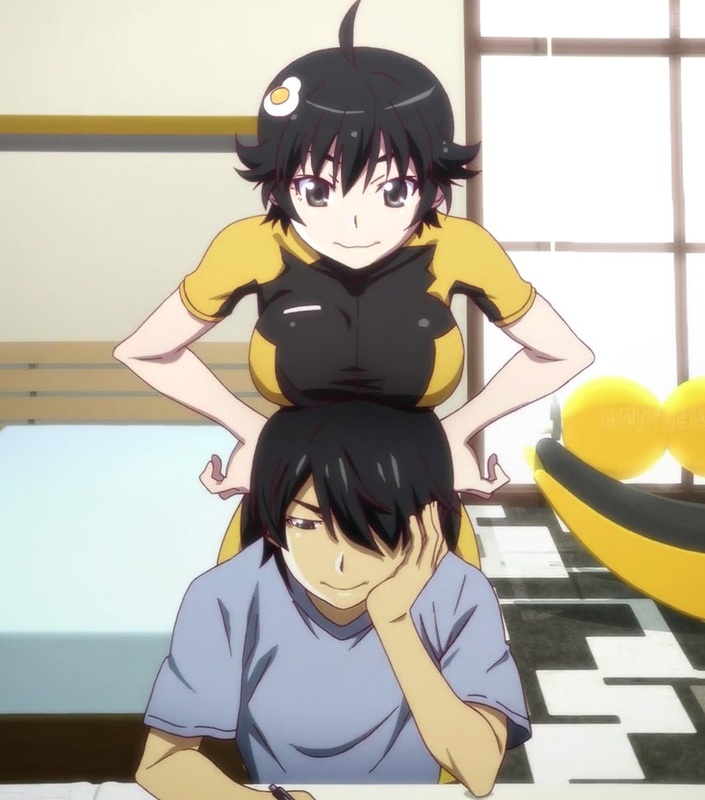 Karen was so proud of growing chest but Araragi was unimpressed. 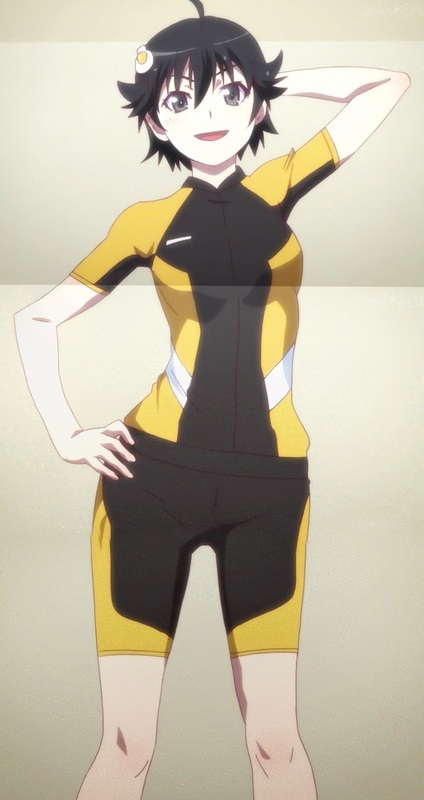 After comparing Karen's chest to Hanekawa's, it only made sense for her to make an appearance. Karen tried her best to emulate a pin-up model, but Hanekawa did so without even trying. On a process note, that centerfold shot of Karen was complicated because of the jump cuts during the pan. With some shade gradient at the bottom of each frame and how little overlap there was between the three cuts, I had the feeling the intent of the pose was to make it look like a centerfold poster from a magazine.